It’s a headache when one home appliance after another develops a malfunction. Sadly, some modern appliances aren’t intended to last more than a few years; welcome to throw-away society! Manufacturers rely on increasingly cost-effective but less durable components and materials. Correspondingly, appliance prices have fallen dramatically since the early 1990s, but it’s of little comfort if the items you own are always letting you down. Product warranties, too, are growing commensurately shorter, reflecting the expected curtailed lifecycles. Regular product turnover aids the makers’ innovation cycles and profit margins, so the sad fact is, they’d rather sell you new machines than breathe new life into your aged household friends. However, despite all the odds being stacked against you, there are still many households in which appliances rarely stop functioning. The reason’s simple: these homes go to extra lengths to look after their electrical goods. Here are 11 tips to ensure your appliances live long and healthy lives. You’re dying to try that new appliance but–wait! Variations between models and brands mean what’s good for one can prove a death sentence for another. Flicking through the user guide prior to first use isn’t a tall order. 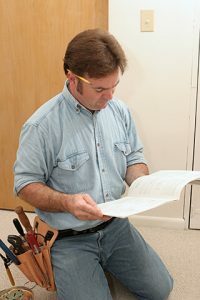 As appropriate to the appliance type, read about correct assembly, how to clean the appliance and its filters, explanations of the display and warning lights, ideal storage temperatures, safe loading and unloading, maximum weights and operating times, troubleshooting, and when to request repairs. Operating manuals for machines that take consumables–things like dishwashers, washing machines, and tumble dryers–also often recommend the brands and product types best suited to the appliance. 2. Keep cool and dry. Keep appliances in cool–not cold–spaces. Unless they are designed for it, garages and outhouses can be too chilly and draughty, especially if appliances rely on lubricating grease or oil. Install appliances inside the house, away from direct heat. Even inside a home, location is everything. Condensation is a major appliance-killer, so if the area’s chilly, install a tubular glass heater; these are ideal for areas needing low-cost, steady background heat, and they keep the frost and condensation at bay. In a slightly-warmed room, grease and lubricant remain fluid and appliances don’t build up moisture on their cabinets or moving parts. Install major appliances in spaces where they can breathe, and keep an eye on operating temperatures. Tumble dryers are prone to static build-up and overheating. 3. Monitor appearances, sounds, and smells. If you notice rust, mold or mildew on appliances, take care. 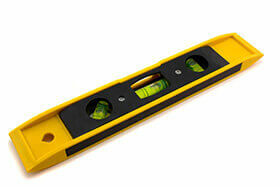 If the unit’s showing damp or rust externally, how might it look beneath its casing? Wipe casings, rubber joints and seals frequently, checking for pitting and corrosion; this applies to rubber parts the same as metal ones. Listen to units when they’re working properly, noting their sound; if something starts making odd noises, call a repairman. Don’t dismantle items yourself unless you have no warranty, as owner interference invalidates product guarantees. However, if you do open your appliance up, vacuum it out. Only use a light air blower on small componentry; the air blower is a small, usually gas-powered canister emitting compressed air, and is available at low cost from computer suppliers. Clean and lubricate moving parts before reassembling and testing. Don’t continue running any appliance that’s making strange noises. Usually, this is the precursor to a motor breakdown or overheating. Similarly, if you smell burning, stop using the appliance pending further investigation and testing by an approved repairman. 4. Observe weights and usage conditions. Observe the weights that washing machines and tumble dryers can accommodate. Laundry soon doubles or trebles in weight once wet, and if your appliance is struggling to make its drum turn, you’ve overloaded it or the laundry needs more even distribution. If there’s groaning, squealing or straining, the motor is under duress; that’s your appliance’s SOS call. Observe ‘maximum fill’ markings on vacuum cleaners and don’t keep using them when they require cleaning or emptying. 5. Keep air vents clear. Small appliances like hairdryers, curling tongs, and even some straighteners may have air vents; check all over to see if you can spot any, and keep these free of dust, hair, and debris, otherwise, the appliance could burn out. If something goes up in flames in your hand, you’ll know about it! While unplugged, inspect DVD players, satellite boxes and music players, running a lightly dampened cloth across air vents and grilles, ensuring no dirt or debris build-up. Again, an air blower may be better suited to this job than your vacuum cleaner. Glance inside your hairdryer while it’s in operation; if its heat filaments glow, it has insufficient free-flowing air and is running too hot. The same applies to fan and convector heaters. 6. Clean filters, brushes, and outlets. Filters are present in tumble dryers and washing machines–the latter also have coin traps many people don’t even know about!–and in toasters, some kettles and all vacuum cleaners. ‘Digest’ user guides and be aware of filters’ locations. 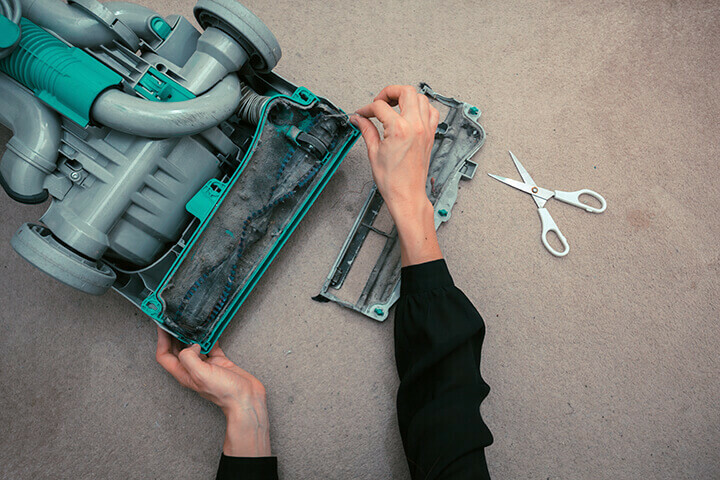 If you don’t clean or renew filters, you’ll encourage dust and debris build-up in the motor compartment. In addition to as many as four filters, modern, bagless vacuum cleaners have the added complexity of air-powered or motorized brushes. If vacuum cleaner brushes are not kept free of hair, a build-up causes slow turning, stressing and overheating the motor. It’s easy to clean hair from brushes using an old fork and a pair of scissors; ease the fork prongs beneath the hair, pull the matted hair towards you and snip it free. To finish, a drop of motor oil or even olive oil at connecting ends of the cleaner brush prevents stiff, friction-causing brushes. Washing machines can suffer build-ups of fabric conditioner or detergent in the soap tray and around the coin trap and drain; keep these areas clear. Pop your machine’s detergent drawer into the dishwasher occasionally, having first cleaned it of built-up residue. The hot wash will remove bacteria and mold spores that can attack internal parts. Dishwashers need care too; check there’s nothing in the filter or blocking the drain outlet. If a glass has smashed in the appliance, carefully check for fragments as these will slice their way through your dishwasher’s moving parts and cause leaks or blockages. If they end up in the drain pump, the appliance will stop draining. 7. Use domestic appliances domestically! Domestic vacuum cleaners are not equipped to handle brick or DIY dust or debris, wet or damp surfaces, or even carpet cleaning powders; they’re called ‘domestic’ appliances because their use is limited to standard household applications. If your home doubles as a business, or if you’re cleaning at work, buy industrial appliances from office and workspace suppliers; they’re less stylish but more robust. Carpet cleaning powders aren’t safe domestic appliance products. Their abrasive nature at the microscopic level can destroy your vacuum cleaner’s motor, and the small print on some powders indemnifies the manufacturer against claims for damage to domestic appliances. The same applies to insect-killing dust; this works by breaking through the insect’s shell or carapace. Seen under a microscope, those innocent-looking dust particles have razor-sharp, or toothed edges that chomp away at your precious gadgets. 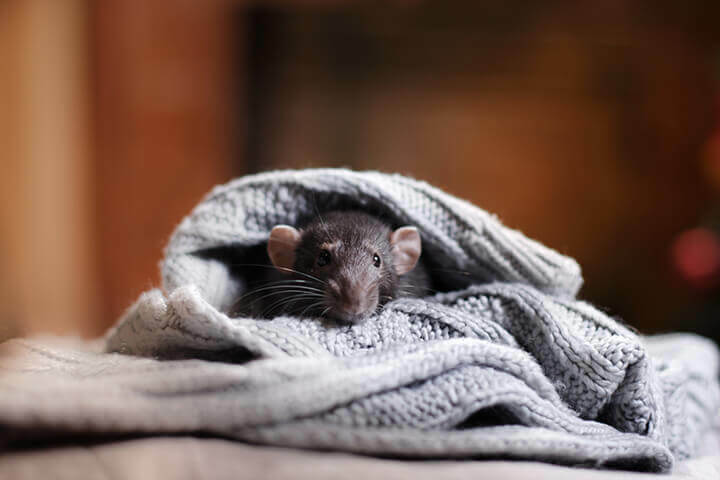 Keep appliances free of rodent and small animal access, including the house bunny, hamster and pet mouse or rat! Rodents will spy those lovely cables and sink their teeth in. The next time you plug in, there’ll be a nice bang, or a big fat–nothing. Many pedigree cats also have a strange cable-chewing penchant. 9. The long and the short of cable care. Ensure long cables aren’t trapped beneath appliances or they’ll perish. Wind long cables around holders screwed to the wall, and carefully ease appliances towards the wall, leaving a gap. Don’t overstrain short cables; there should be some slack. With units unplugged, wipe down cables with a damp, clean cloth occasionally, ensuring no damage. Extension cables–especially those housed on wind-out mechanisms–lead to overheating and fires. If you must use one, check it’s fully extended and isn’t getting hot. Use thermal-cutout adaptors, so appliances shut down at signs of temperature trouble. Check electrical plugs are tightly screwed and haven’t become a home for spiders and slugs. Unneutered or late-neutered male cats often spray urine over electrical units, disabling them. Prime candidates are computers, keyboards, speakers, and video or DVD players. If you have a high incidence of household gadgets ceasing to function without prior warning, check for sticky, unpleasant patches and take your male cat to the vet for his overdue surgery. Keep ovens, washing machines and tumble dryers on level, solid surfaces. If the item has moving or rotating parts, discrepancies in standing surfaces place strains on the motor, suspension, bracketing, and feet. If your washing machine or dryer shudders or hops as it operates, it has a wobbly leg or is standing on an uneven surface. The same can happen with a microwave oven’s rotating turntable; is it making a strange sound when operating? The chances are, it’s not sitting flat so the turntable motor is under duress. Now you’re taking great care of your precious appliances, consider locking the portable ones away from people who won’t be so respectful. Cheaper, slightly less effective small appliances can be retained for visitors, the cleaner, and your accident-prone husband or teens. If you really want to cover all bases, call in a domestic electrician once a year to carry out a house-wide small appliance safety test, sometimes known as a Portable Appliance Test or PAT test. The electrician will check each appliance and mark it as ‘passed’, so you’ll know every item’s safe. Whatever system you put in place, treating appliances with tender loving care will afford them long life and ensure they give good service whenever you need them.